Lightweight. Metal is one of the lightest materials you can install on your roof. 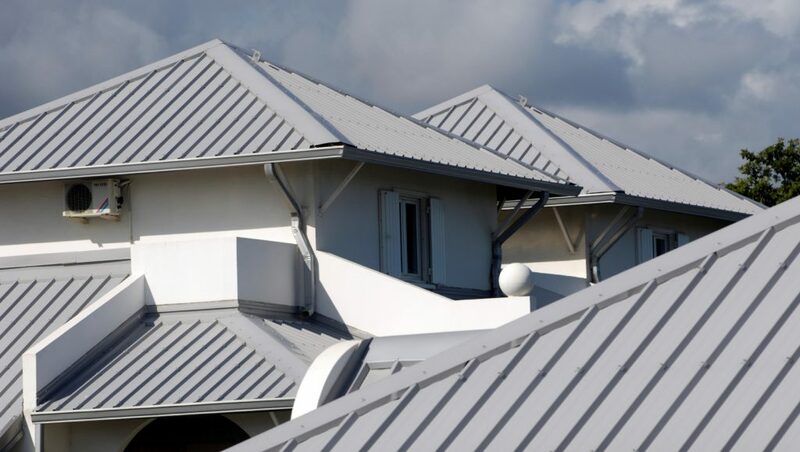 Although the weight can vary based on the different types of metal options, overall, metal roofs can be around 50 to 100 pounds lighter than other roofing materials. Longevity. Metal offers high weather resistance and has a longer lifespan than shingles and asphalt. With proper care, you can expect a metal roof to last around 60 years. Environmentally friendly. Metal is one of the most energy-efficient roofing materials. It reflects heat and helps keep homes cooler in the summer. Plus, it also contains a high amount of recycled content. Excellent weather performance. Metal is exceptional at preventing leaks while also providing wind and fire resistance. According to Metal Roofing Alliance, some insurance companies offer home buyers up to 30 percent reduction in premiums for weather-resistant metal roofs. – Metal roofs don’t solely lower heating bills. There are many other factors that contribute to your homes low energy usage – adequate insulation, fixed air leaks, and energy efficient windows. – Metal roofs are not loud. Typically, metal roofs are even quieter than an asphalt shingle roof. They are installed with a solid sheathing attached to help reduce the noise. – Metal roofs do not attract lightning. Even if lightening did strike, the energy would be dispersed throughout the structure.